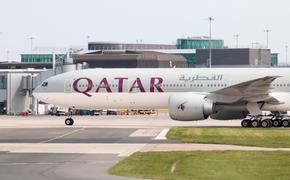 Airlines for America (A4A), the industry trade organization for U.S. airlines, called for the Department of Homeland Security to scrap plans to establish a Customs and Border Protection (CBP) preclearance facility at Abu Dhabi International Airport in the United Arab Emirates (UAE). A4A called it a “pay-to-play” scheme that sets a dangerous and unauthorized precedent and harms U.S. citizens, jobs, the economy and the global competitiveness of the U.S. airline industry. Domestic CBP facilities are partially funded by the airlines and passengers entering the United States through $1.5 billion in annual user fees they pay. A4A President and CEO Nicholas Calio said the plan for a preclearance facility in Abu Dhabi disadvantages U.S. citizens and other visitors who are not adequately served by CBP today, often waiting hours to clear customs when returning to the United States.